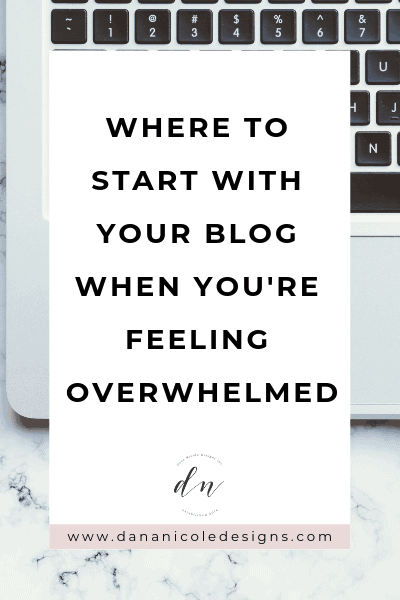 When I started my blog two years ago, I went through the exact same thing and I remember wishing someone had laid it out nicely for me so I knew exactly what steps I needed to take. I now run my blog in conjunction with my business full-time. Making a living from my laptop has been an incredible experience, but it wasn’t easy, so I’ll spare you the headaches and help make things as straightforward as possible! With each step, I’m also going to list the time you should spend on it. Trust me, you aren’t going to want to try and complete each step simultaneously all within the first week you start blogging. That will just contribute to your overwhelm. So bookmark this right now so you can come back to it in the future as you work your way through all the different steps! When I first started my blog, I envisioned making a living from it within a few months. But after those first initial months passed, the reality set in that I wasn’t getting nearly enough traffic to make money from my blog. I was trying to monetize, I was trying to get more followers on Instagram, I was trying to increase my traffic but no matter what I did, nothing worked. I began to get frustrated and I wanted to give up. I told myself that only those who are lucky must be able to make a living from their blogs. As you can see, I only got 100-200 visitors per month to my blog. Simply not enough for it to become a full-time job. But something deep down kept telling me to keep going, which was exactly what I did. Two years ago I couldn’t even confidently say that I’d be able to get 100 page views to my blog each month, and now I’m aiming to hit 100,000 monthly page views within the next six months! So what did I do? Well, I planned, I invested in training and I did a lot of learning and research. Let me share with you the plan that I set in motion to be able to build my blog from the ground up. If you haven’t done the above steps (in other words, if you don’t have a blog right now and are starting from the very beginning) you’ll want to check out my post on how to start a profitable blog. That post will walk you through everything you need to get started. If you’ve already done that, you are ready for the next step! Time Spent: This task should take a maximum of one week to complete and can be completed in as little as a few hours. Your blog is a business and it needs some type of framework in order to get off the ground. You know the saying, “those who fail to plan, plan to fail”? The same applies to your blog. You need to create a content schedule and stick to it! For example, start out by planning to write a new blog post every Sunday and have ready to post on Monday. Many new bloggers wonder what the best day of the week to publish posts is but it doesn’t matter when you publish them. Unlike social media, when you publish a blog post it has a much longer lifespan. It doesn’t matter if it was published on a Tuesday or a Friday, so don’t worry about that! Just focus on working your writing into a schedule that works for you. I personally love blog batching as it has been one of the best productivity hacks I’ve encountered when it comes to writing blog posts. When you first start out, setting a schedule that is realistic is what’s most important. Blogging will burn you out quickly if you make your schedule too demanding. Start with one post a week, and if you begin to find that effortless, increase it! Time Spent: You should spend one month on this step so you can get into a groove with your writing. If you aren’t used to writing a lot and you try and move onto the next step, the chances of getting burnt out will increase. Take it slow and remember: it’s a marathon, not a sprint! These next two steps will be the most exciting/frustrating part of your blogging business. First, before you can make money off your blog you need traffic. You don’t need millions of page views, but you do need some. I’m not going to give you a number of page views you need to monetize because it’s different for every niche, but as a reference, I didn’t start making money until around 10,000 monthly pageviews. Some people will tell you they starting earning an income before 10,000 and it’s going to be different for each person. SEO (search engine optimization) should be the first thing you learn (because it takes the longest). There are over 40,000 searches per second on Google alone. You want your content showing up in the search engine because that is free traffic pouring into your blog every minute. SEO is my bread and butter. It’s what has allowed me to scale my business and blog and earn a full-time income from it. SEO also takes six to eight months to really start working for you, so if you get started on it now, you’ll be thanking yourself in six months. I have a free SEO workshop that you will want to sign up for so you can get going on your SEO right now! Although Pinterest is classified as a social media platform, just like Google, it’s actually a search engine. So it’s no surprise that Pinterest is the next area you should focus on learning. When I first started my blog, Pinterest was able to grow my traffic by 800%. You can read about my entire Pinterest marketing strategy so you can replicate it yourself! Oh, and by the way, Pinterest isn’t just for arts and crafts. Trust me on this! 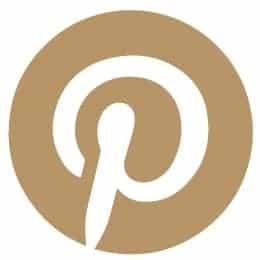 Just about every niche under the sun is on Pinterest! After mastering SEO and Pinterest, you’re going to notice that you’re traffic is starting to increase (yay!) which means you can either move onto the next step, or choose to master another avenue of marketing. This is dependent on where your audience is hanging out online. Here’s my personal opinion on two very popular platforms: Instagram and Facebook. First, let’s talk about Instagram. 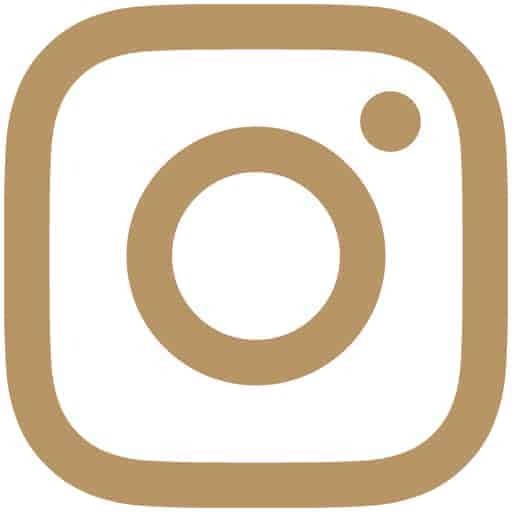 Instagram is a great place for connecting with your audience or for small businesses who sell products. For bloggers, it’s a difficult platform to get traffic from because it’s not a platform where users want to click out of. 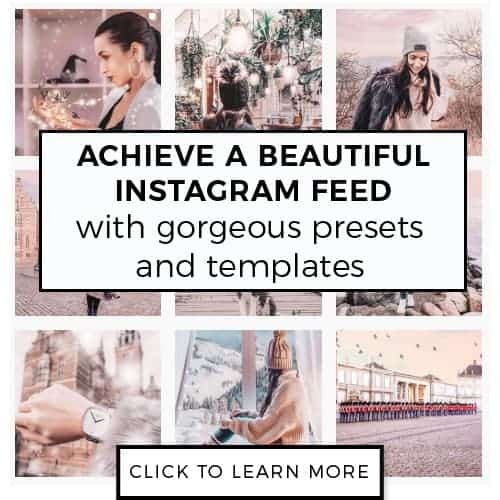 I love using Instagram to connect with my audience and build the relationship I have with them, but it just doesn’t drive much traffic to my blog. My advice? Experiment! You might find Instagram works for you but don’t get caught up in it if it doesn’t send you traffic. You might find that Instagram is better used for connecting and growing relationships, as I have. Facebook is another tricky area. I’ve had the most success on Facebook by using paid ads. 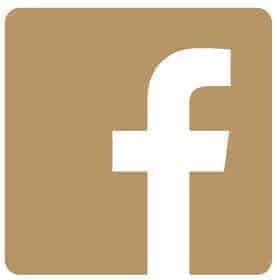 Facebook is known as a “pay-to-play” social media platform, so keep that in mind. Try not to get caught up in the platforms that aren’t working for you. Time Spent: If you are learning this in your spare time, I’d recommend spending at least one month learning each social media platform you plan to market on. One month allows you to get super comfortable and familiar with each part of the marketing puzzle. Take courses, invest in yourself, and really take this time to learn as much as possible. When people begin to feel frustrated and overwhelmed it’s because they are jumping from task to task, and never fully understand how each piece of the puzzle works. Your email list should be one of the first things you get started, but it’s going to be challenging to start one if you aren’t really sure what your readers want! This is where things get a little tricky, but don’t worry, it will get easier as you go on. I recommend starting your email list as soon as you start up your blog. In other words, step 2 and 3 go hand-in-hand. Time Spent: Aim to spend around a month figuring out the ins and outs of email marketing. I’ve made it easy by creating a free list building workshop that you can sign up for! Once you’ve spent a couple of months learning how to market your blog, you’ll begin noticing your traffic increase. Now it the perfect time to focus on monetization. A lot of people try to monetize before they actually learn how to get traffic, but in my opinion, that will set you up for failure. If you were going to open a store selling cupcakes, your first step would be to put together a business plan which would include a comprehensive marketing plan, so that when you do finally open up shop, you know exactly how to market your product. Think of step 3 as developing your marketing plan so that you are ready to begin monetizing your content. When people try to monetize first, they get frustrated and wonder why they can’t monetize, but 99% of the time, it’s because they haven’t spent enough time figuring out their marketing plan! If nobody is seeing your content, where will your income come from? Ok, so let’s discuss how you can monetize! Many people rush to put ads on their blogs, but there’s a reason that top ad networks don’t allow websites with less than a certain number of page views or sessions to be accepted into their ad programs. Unfortunately, small websites just don’t make much money with ad revenue. Mediavine, for example, won’t accept websites with less than 25,000 sessions. Sessions differ from page views, and 25,000 sessions are anywhere from 30,000-50,000 page views (normally). But that’s not a problem! There are still plenty of ways you can earn an income without relying on ads. My advice? Again, experiment! But just keep in mind that ads might not be the most profitable route when just starting out (so don’t get discouraged). Brands love working with bloggers because they are able to get exposure for a fraction of the price of traditional advertising. Reach out to brands within your niche and pitch them your ideas for a collaboration. You can download my Blogger’s Blueprint which will get you all set up to begin working with brands, including who to pitch and what to email them. Working out how much you should charge brands for a sponsored post will be totally dependent on your reach and what niche you are in. Right now, I charge upwards of $350 USD for a blog post. E-books, courses, trainings and memberships are some excellent ways you can begin to make income through your blog. As you begin writing content you’ll be able to understand what your audience wants more of. Perhaps you are a lifestyle blogger who is blogging about the effects of mindfulness. You could create a membership program that offers daily guided-meditation, or an e-book on how to reduce stress via meditation. Lastly, if creating your own products isn’t something you are interested in, you can promote other products and earn a commission. I’ve put together a list of the best affiliate programs for bloggers that you can sign up with and begin promoting products that you use and would help your audience. Time Spent: On-going! This is the part where blogging gets exciting because you actually get to start making some money. 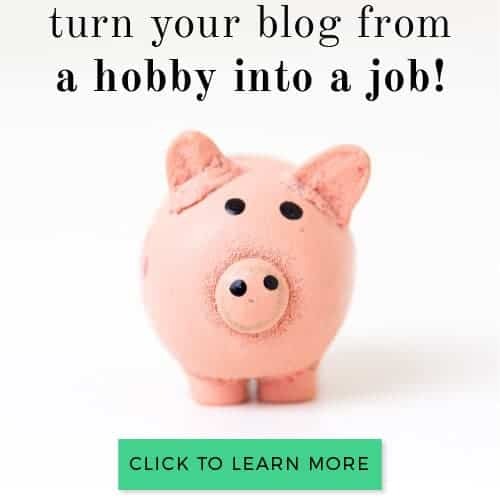 You’ve put in a couple of months studying and understanding your marketing plan, you’ve started to see your traffic increase, and now you are working to turn your blog into a profitable business! I hope that by laying things out for you, you are able to see understand the steps to take to turn your blog into a business. Do I recommend you follow this exactly as it’s laid out? Yes and no. This is what worked for me. I understand that we all will have different paths to success but I wanted to share with you what I did in case you wanted to go down a similar route. I also offer private one-on-one blog coaching sessions to help guide you in any areas you are feeling stuck in!